Yep, it’s this time again! Unless you’ve been living under a rock, you’ve probably heard of How to Train Your Dragon 1 and 2, some of the most popular kids’ movies to date. There isn’t any art for this (sadly), but there are costumes, ads, and some dragons in Poptropica itself! I like how they both give off a Viking feel but their costumes still vary quite a bit. I especially like Astrid’s axe. Make sure to click the link for instructions on how to make the costumes yourself. This post was written by Noveen, a Poptropica community member. Over the course of 3 years, Steven Universe has taken the world by storm! Of course, this means it’s worked its way into the Poptropica community. Many of our fellow Poptropicans are great Steven Universe fans and have incorporated it into the game’s media. It also has various LGBT characters, inspiring many. Here’s a compilation of some of their works! Master Pinpey has drawn several works connecting Steven Universe and Poptropica. The first of these is a short animation redrawing of a Peridot quote in Poptropica style. The second work, to the right, is a gorgeous Poptropica rendition of Steven Universe’s very own Rose Quartz! Bonus shoutout to Tall Cactus for this hilarious Pearl edit! The Doctor is in! Who? The Doctor! For this week’s Mashup Mondays, there isn’t any fan art, but I’ll try to make up for it with more costumes and a longer Bits & Pieces! Since the Costumes section is so big with photos, it will go at the end. Ancient Greece: In Poptropica, Ancient Greece is as far back as you can go. In Doctor Who…not so much. You can also speak to an oracle, who gives advice from the gods. Well, in a Doctor Who novel, “The Slitheen Excursion,” the Doctor goes to Ancient Greece, and it seems like gods are visiting them; well, they’re actually aliens! Yes, it’s an odd show. 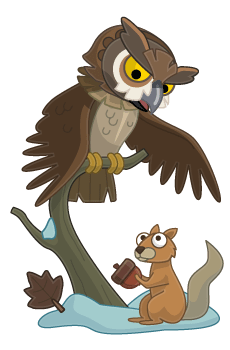 The Vikings: In Poptropica, the Vikings ask you to get an amulet for them. Most likely, in the real Viking era, they wouldn’t have been so friendly, as in “The Girl Who Died.” Instead, the Vikings capture the Doctor, and they only escape by the appearance of Odin. This week’s mashup was suggested by Brave Sky, focusing on Reality TV & Survival! Ah, upfront this seems like an innocent little competition…but is it really?! Yes, it is. It’s kind of like a silly little Hunger Games. Instead of 24 contestants, there are now 8 (1/3). Also, instead of…violence, contestants are eliminated by voting them off. If you do the worst in the round, you will most likely get voted off! Although, sometimes, players just stab you in the back. Looking at you, Lassie Lasso. If you can’t survive in the Hunger Games, well, you also get…voted off. Plus, there is one clear winner, and all of it is shown on television! Isn’t Game Show the same thing? No! What makes The Hunger Games and Reality TV most similar is that they’re both based on athleticism and physical challenges, which are quite difficult, may I add. And, yes, it is based on actual reality TV, but it’s cool to evaluate how similar they actually are. Strength! Luck! Endurance! All of these are essential parts of both Reality TV and The Hunger Games. This week’s mashup was suggested by Spotted Dragon! Adventure Time, c’mon grab your friends, we’re going to very distant lands…Jake the Dog and Finn the Human, the fun will never end, it’s Adventure Time! Sorry, I just love the AT theme song! Anyway, this cool TV show on Cartoon Network features some funny characters and has a fanbase within the Poptropica community. Awesome costumes and art of Poptropica + Adventure Time shows this. Keep reading to see more! Well, well…that brings back memories! The detective with purple hair next to Zeus actually used to be my old Poptropican! Fishy, SD, and Sam are in there, too. Really cool! We have a lot of cool costumes to feature, and you can find all of the instructions for them on Adventure Time Pop! Whether you have been a fan of Percy Jackson or not, you have to admit that many Poptropicans have made references, stories, and costumes related to the fanbase, and that’s what this new weekly feature is about: fandoms! 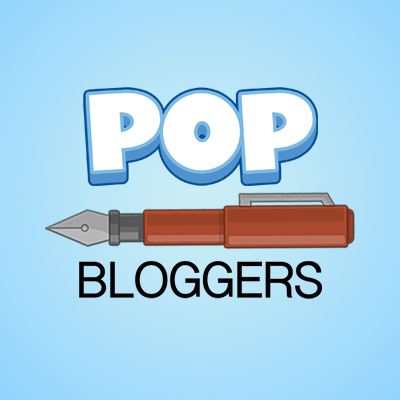 Every week, I will be featuring certain fandom and Poptropica-related content that has been made for that fandom: together, they are a Mashup. This week, as you can see from the title, is about Percy Jackson. Many costumes of Percy Jackson characters have been made, especially by our one of our viewers, Sleepy Feather! You can see Percy Jackson himself to the left, then Annabeth Chase, Hazel Levesque, and Piper McLean. If you want to make any of these yourself, just visit our page. Although, not only fans of Poptropica make costumes related to Percy Jackson… As some of you may know, the Percy Jackson series is based on Greek mythology. And, well, Poptropica made the Mythology Island based off of these, too! 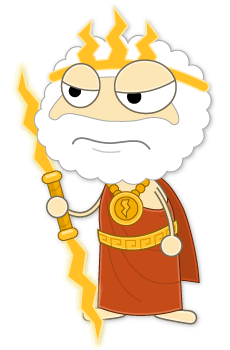 From Poseidon to Zeus to Athena, Poptropica has many of the major gods which were also featured in the Percy Jackson series. As you can see, the Creators also have to make clothes for the gods! Personally, I think Hades’s is 10/10. Poptropica has made many references to Percy Jackson, but they have even had an ad for the series! If you entered the building, you could have gotten the Cyclops Power (which turned you into a cyclops) and the Pen Sword Power (which transformed a pencil into a sword in your hand). Thanks to the PHB post for this info! Since this was the first Mashup, there weren’t as many details as there probably will be in future posts! Of course, we accept all the help we can get. Leave your suggestions below, or even create Mashup artwork or stories! It has the tribe shirts on the page, and you can even quiz yourself on them! I did a little research on colors and emotions, so I created some descriptions for each tribe based on their colors! If you don’t know what tribe you want to be in, go look at the page and see if you can find one that matches you. Of course, they aren’t completely accurate, and it’s mainly just for a bit of fun. The page includes a guide on how to choose your tribe and use its common room. I obviously had to choose Seraphim because, well…Seraphim ftw! Note: I forgot to include that this is starting June 20th! I’m thinking about starting a new series every week called Mashup Mondays. Basically, it tells about a certain fandom and its presence throughout Poptropica, from art to costumes! My first Mashup will be Percy Jackson …have you seen Mythology Island? Anyway, we will be accepting submissions! 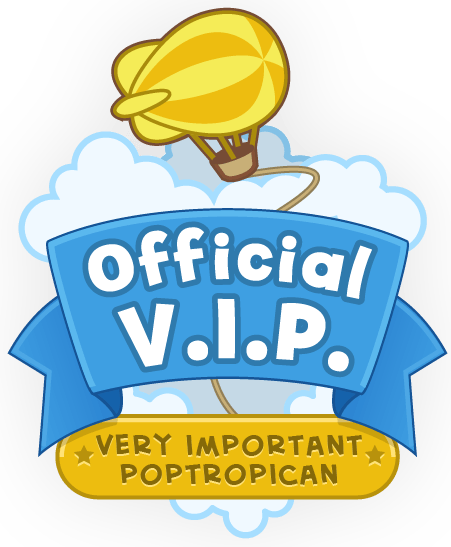 You can always just comment what you want the next Mashup to be, and if you email an artwork/story/costume, or even a reference you saw in Poptropica, it will be featured in the next post, giving credit! There are even more things you can enter, including island theories, etc. Well, I think that’s about all that I have. Bai!